Crown Crafts (NASDAQ:CRWS) is the perfect example of how to turn around a company reporting losses every year into a company that not only survived the financial crisis but grew over 1300% in 10 years. The orange and red lines are the S&P small cap index and the Russell microcap index, respectively. Before we get into the factors that drove the Company to succeed, a little overview of what the Company does. Crown Crafts designs, licenses, manufactures and markets infant and toddler products – mostly in bedding, blankets and bibs and a smaller percentage of sales in plastic-related products. 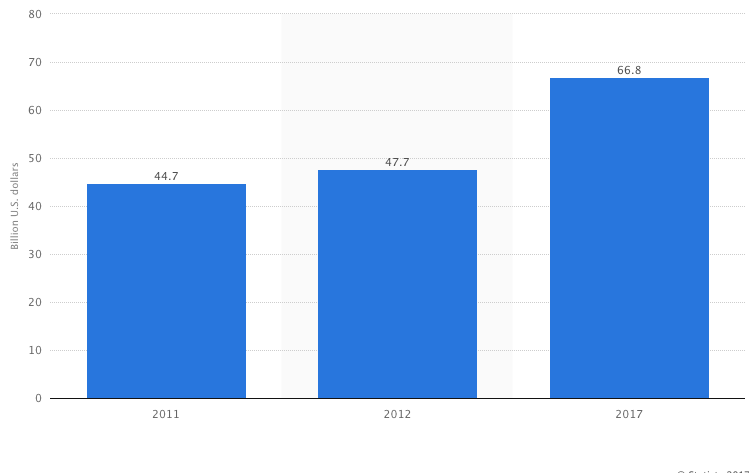 Baby care market has increased overall since 2011. However, it is a very competitive market. Crown Crafts has had to be strategic and disciplined. And that’s exactly what they’ve done. Upon a detailed analysis of Crown Crafts’ path reveals key success factors that contributed to the Company’s 1300% growth in 10 years. A more detailed analysis is below – with notes that point out significant events that caused the stock to reflect the value of the Company. A lot happened in 2001. The Company IPO’ed, a new CEO was in charge, and they refinanced the debt from $106 million to $47 million. Management team vowed to turn the Company around. They started by selling off their unprofitable business in adult bedding products. This hurt their top line sales, but their focus was to cut costs and protect their profitability. The next 5 years proved to be a difficult time, but throughout it all, the Management team continued to pay down debt every year and put in place a continuous feedback loop to determine which product divisions were working and which product divisions were not, i.e. they were ready to take appropriate risk measures in order to keep reinventing the Company. 2006 was a pivotal year. Crown Crafts refinanced their debt again, reducing the debt outstanding by more than 70% and just as importantly, extinguishing exercisable warrants that were attached to the debt, reducing the fully diluted shares by more than 70%. Overnight, the Company’s shareholders rewarded the Crown Crafts by more than 200% and the Company started gaining momentum. Crown Crafts’ CEO, Chestnut, also had a strategy to grow the company – to make meaningful acquisitions. Letter on the stock chart indicates key events discussed below in detail. Refinanced debt from $106 million which was refinanced in July 2001 to $47 million. Debt to equity was reduced from 1.9x to a negative debt to equity of -2.9x due to huge losses, deeming shareholders’ equity to be worthless. No wonder the stock had been crawling before major changes to turn around the company. Along with E. Randall Chestnut named new CEO; had been VP Corporate for the Company since 1995. Also sold off the adult bedding division to the former CEO. Key efforts to turn around the company: New CEO, new debt structure, and new product segment mix. Underwent a MAJOR refinancing reducing debt by more than 70% AND extinguishing with it fully diluted shares by more than 70% (i.e. exercisable warrants that came with the debt). Also in 2003, Company announced a shift in product sales mix. Their Pillow Buddies business was decreasing due to increased competition pushing royalty licenses of character licenses up higher. Decided also to take their Disney Consumer Products direct to retail starting early 2004. 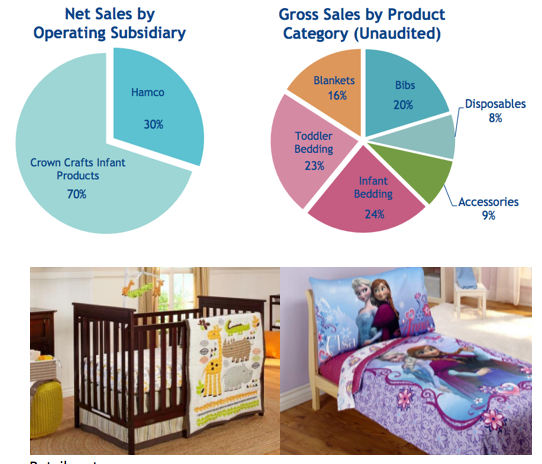 Considering Toddler Bedding (bedding with Disney characters) is in now (2016 FY) the second highest grossing segment of product sales, this was a good decision (i.e. toddlers + Disney characters). Reaching into Latin American market – entered licensing agreement to develop, produce, market and sell infant home furnishings and accessories under the Baby Mink brand, which has 80% of market share in Mexico. Acquired all of the assets of Kimberly Grant, Inc., a designer of various infant and toddler products. Under the agreement, the founding designer will continue to develop designs. Announced closure of their subsidiary Churchill Weavers (which sold beddings), which has been unprofitable. The Company tried to sell Churchill Weavers but could not reach an agreement, so they decided to liquidate. On Feb 14, 2007, announced Q3 results, which reported lower sales by $1.1 million YoY. The sales shortfall came from pricing pressures by two retailers. Company decided not to participate in those sales because they wanted to protect profitability and control costs. Reported lower profitability despite increased sales for the quarter YoY. 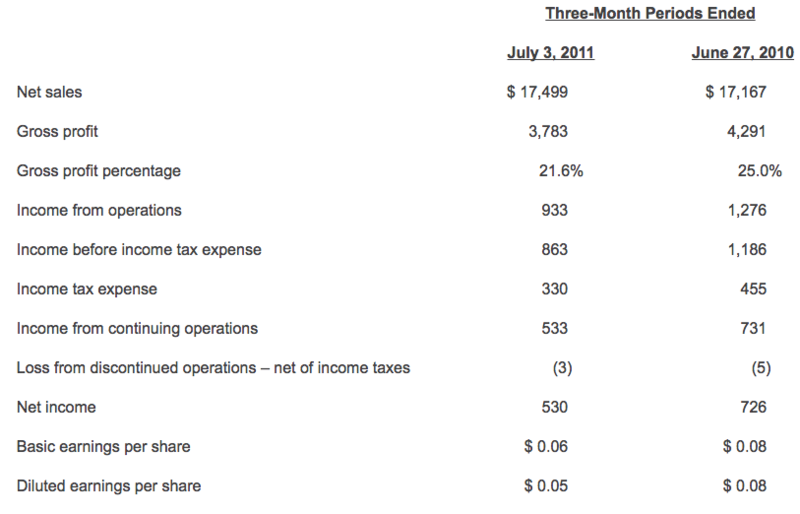 Also revealed lack of cash on their balance sheet compared YoY. Company continued to pay quarterly cash dividends and continued to marketing efforts through presentations at multiple investor conferences throughout the year. Reported fiscal year end – although sales dropped slightly, income is higher – proving that their cost cutting and profitability protection strategy is working and that Management is disciplined. 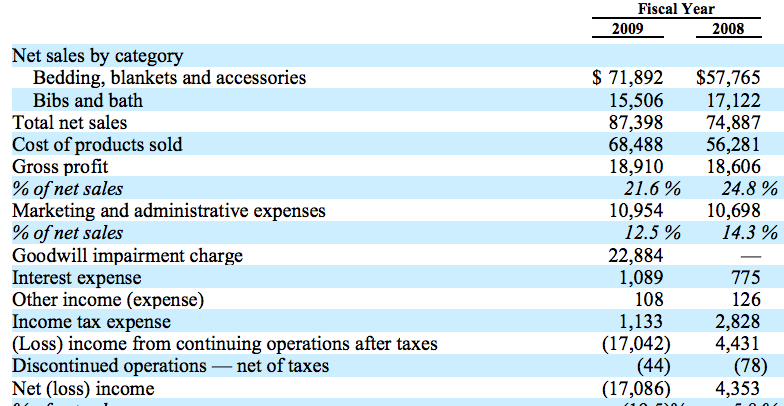 Yet again another increase in their gross profit and income. This time they also increased sales as well in their fiscal year end report. 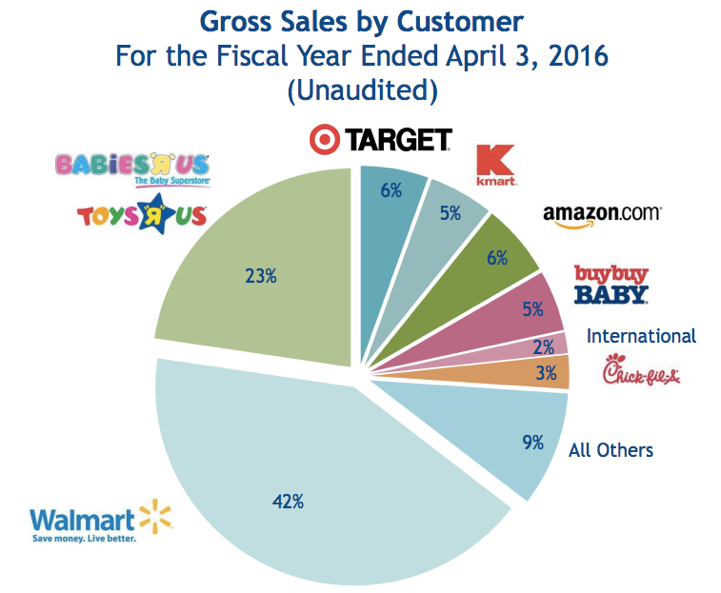 Reported another increase in income in absolute value and profitability margin despite decrease in sales. First time reporting over 30% in gross profit. Reported a decline in sales and profitability.